Chelsea young star Ruben Loftus-Cheek is angry with the club and not happy with the way they handle young talents. Loftus-Cheek progressed form Chelsea youth team in 2014, and since then he has only appeared 32 times for the club. The England international is now furious with the club and many believe he might be seeking a way out. In an interview with Sky Sports, Loftus-Cheek talked about the club and what he feels about the way they handle young players. 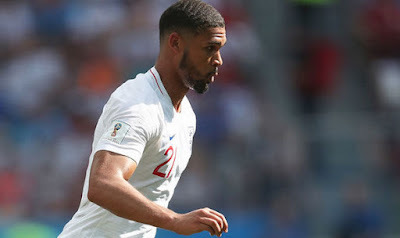 It is still unclear if Chelsea will be sending Loftus-Cheek on loan again for the next season or maybe he will stay at the club, but as of now, Loftus-Cheek is with the England team at the World Cup and he will be in the team to face Colombia later tomorrow in their round of 16 game.